I call this pose the "Liza Jane." 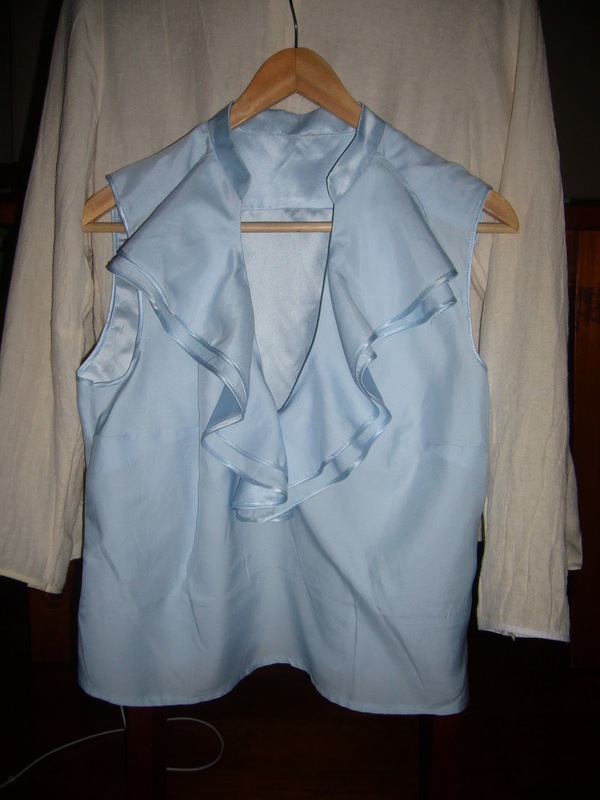 The body of the blouse uses less than 1m of fabric. 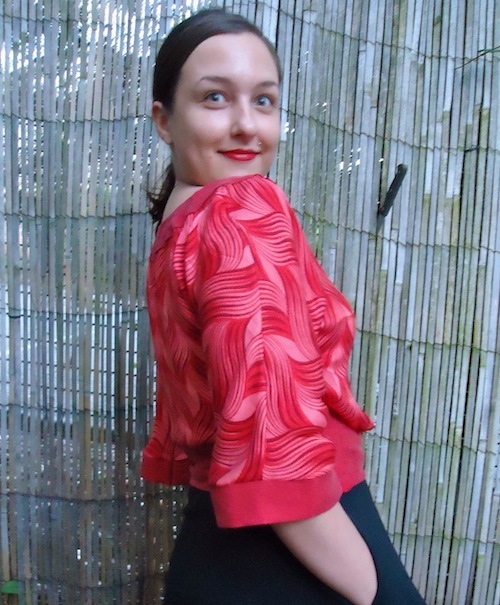 I used printed silk twill and obsessed over the border fabric until I re-discovered a worn out silk-cotton radiance blouse in my ragbag. I’m happy it will have a second life, and the faded red radiance tones in with the print. 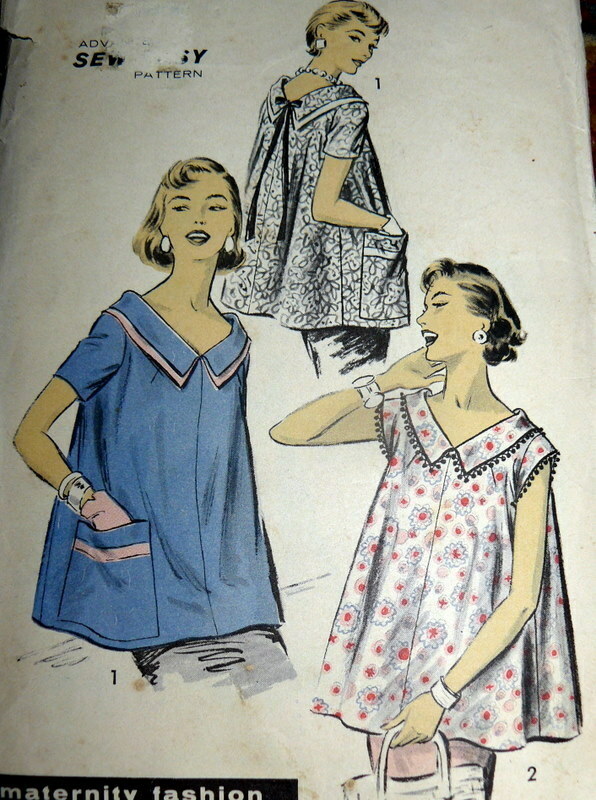 The sleeves are cut on to the blouse, lie along the bias of the fabric and hit below the elbow with a relaxed fit. 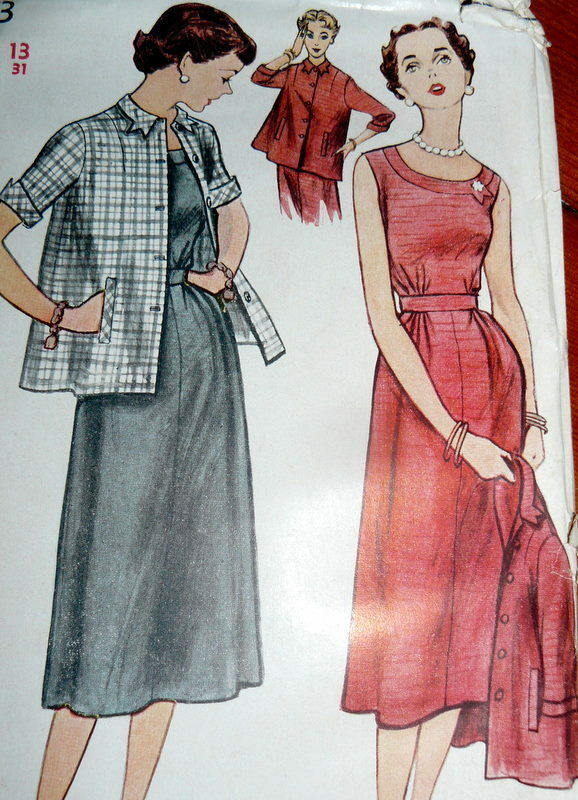 They have a border band of fabric around the hem of the sleeve, the neckline, and the bottom of the blouse. 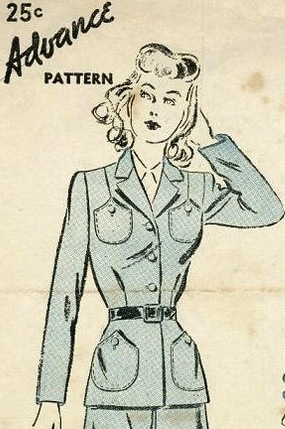 The blouse needs gussets to allow for free range of motion, and the CF features a minimalistic nod to the “pigeon front” blousing so popular at the time. 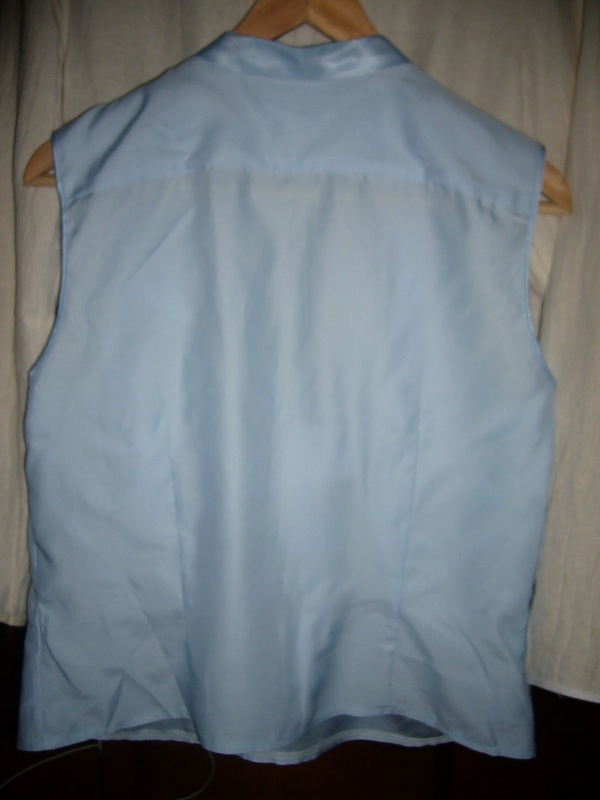 The blouse closes on the side with an invisible zipper. 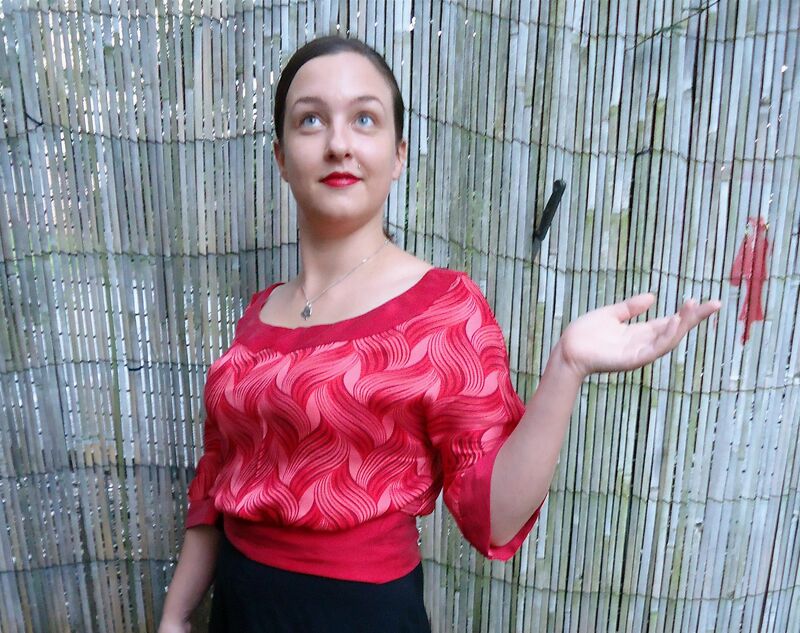 I like this blouse, but I plan to shorten the sleeves on the pattern so they graze my elbow and will tighten up the neckline. 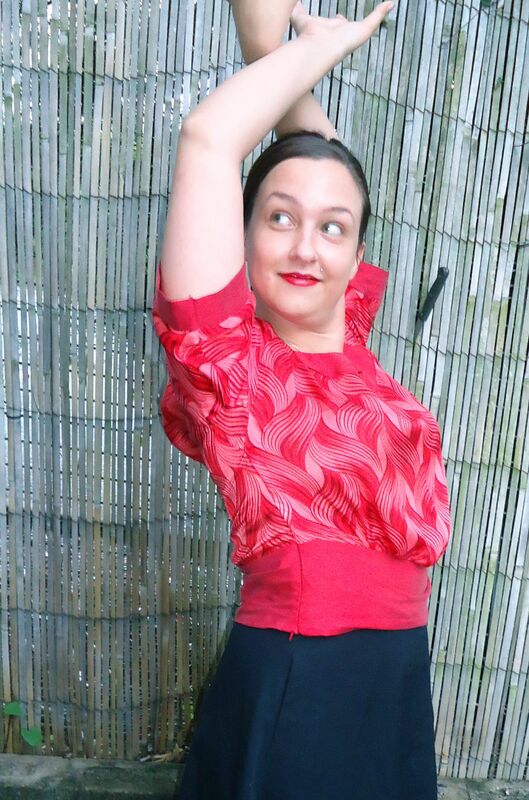 I meant it when I said “free range of motion.” Though it’s a lady-like cut and made of pretty silk twill, I can reach and bend and twist in this top. Mobility is important to me- after all I’m not a lady of leisure like the Crawley sisters. I took notes, pictures, and carefully refined my own pattern to streamline the process of offering this as a pdf pattern. It’s an odd cut, rather different from modern ones but the pattern is clearly marked and the instructions will walk you through the process of construction. I’m making this up as I go, and I need a little help. I’m using a sizing system similar to the one I use for the BCT. That is, you choose the size based on your full bust measurement. 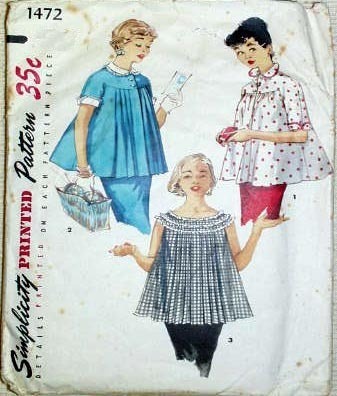 This is a “blousy blouse,” so issues of cup sizing matter less than they would on a fitted dress. 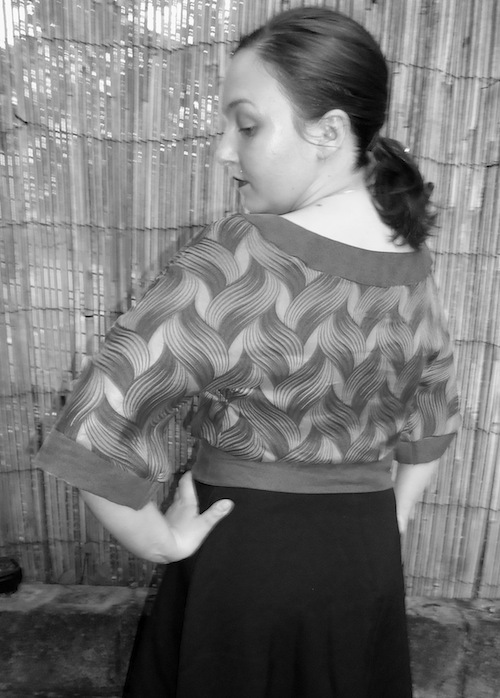 Then you choose the waistband piece based on your waist measurement. To me, that seems most logical. If you’d like to receive an email when I publish this pattern, click here. Don’t forget to enter the Lace Fabric/ Lace Insertion Giveaway before April 7! Click to view the source. Lovely example of distressed silk used in a dress. 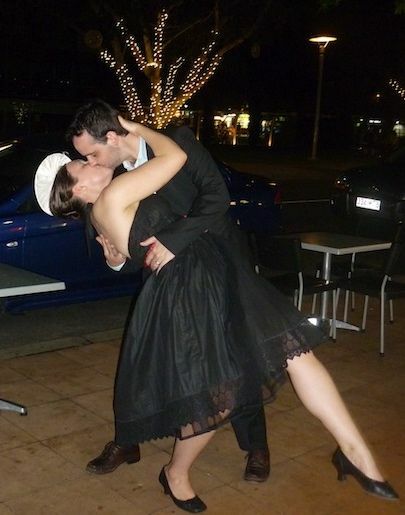 I taught a Little Black Dress class here in Brisbane a few years ago. On the first night we discussed topics such as fitting, alterations and fabrics. Most of my students chose to use black silk for their lined dresses and (I thought) listened carefully while I gave instructions on how to pre-wash silk. Just like yesterday’s post. Me: “What?” Laundry powder is abrasive and the fillers leave a build-up on the fabric. It is not suitable for washing silk. This is a piece of silk I gently distressed. To *reset* it's crispiness (rather than revel in its softness), I added 1/3 c of washing soda to the rinse water and pressed the fabric while damp. It did the trick. Jane is a very clever scientist, but a little prone to overlooking details in her sewing. When she brought in the poor piece of silk and dumped it in my arms it crackled like hair that had been washed a few times and then left to dry in a salty wind. 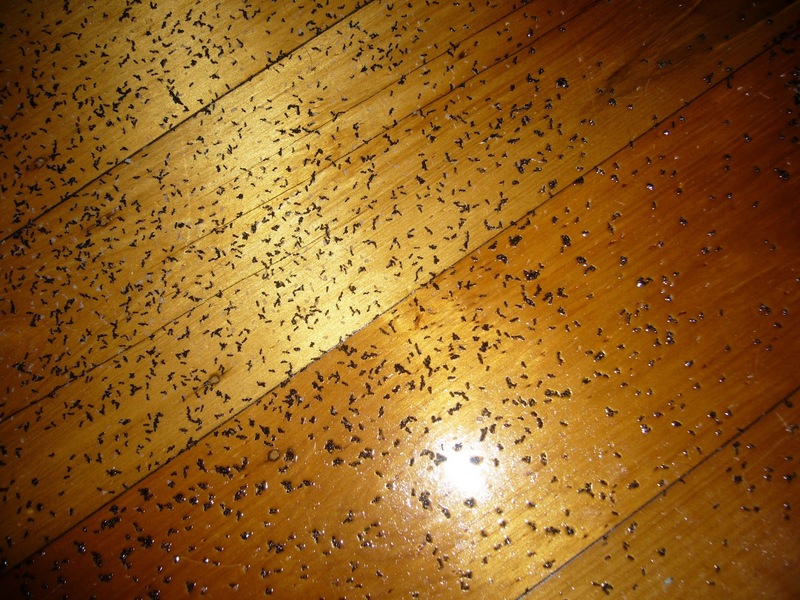 It felt so nasty I dropped it on the floor. But- I was intrigued so I bought a new length of the same silk and traded Jane. I figured I could do something with the silk, and I wanted to try to make it soft again. I gave Jane very careful washing instructions and her second length came through the wash fine. The severely distressed silk came home with me. You can see the tiny texture created by distressing. I can't get a good shot of the black, but it's the same texture. First I put it through a cool and gentle wash cycle with vinegar to remove the soap buildup. Then I soaked it in a solution of water and hair conditioner for a few hours, then rinsed and line-dried. I repeated that a few times until the silk became soft and fluid. Terrible photo, but you can see something of the texture. I'll finish her soon and take some good photos. Tomorrow- The Blank Canvas Tee is back and improved…. 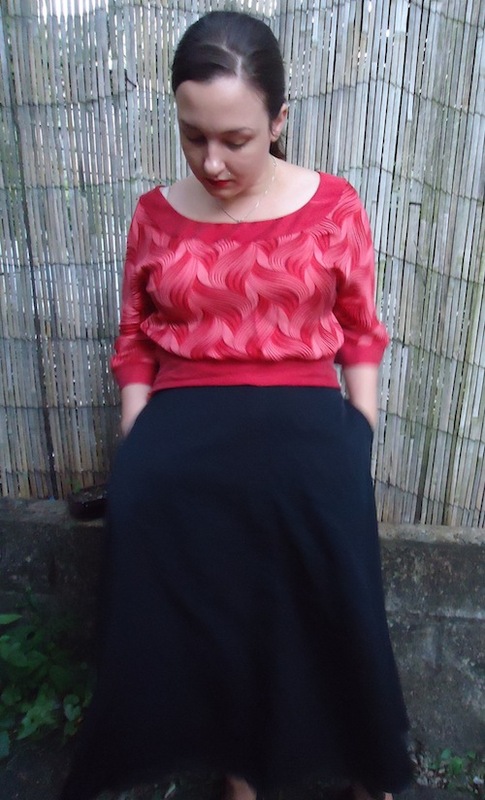 And on Saturday, a guest post on types of lace while I work feverishly to finish my Megan Mod Dress! Silk filaments. They are shaped like prisms, which is why silk is so luminous. Click to view source of image. Some kind of nerdy awesome curator site. I like silk. It’s pretty and comfortable. I don’t tend to treat it like it’s made of gold, however. Silk is tougher than we commonly give it credit for, in fact I like to use a silk-hemp blend for my utilitarian summer sun jackets. I wear my sun jackets daily for months on end, and the jacket gets washed once a week or so. In the washing machine. With my other clothes. Silkworm cocoons. 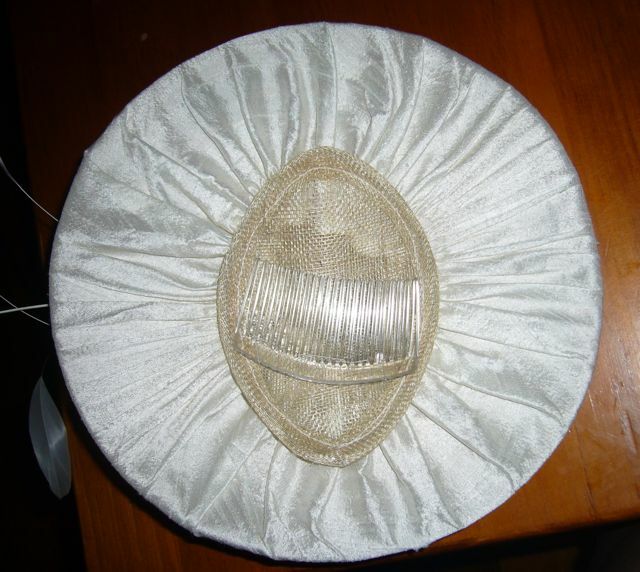 Click to view the source article, about medical implants made from silk. Fascinating. Put into washing machine. 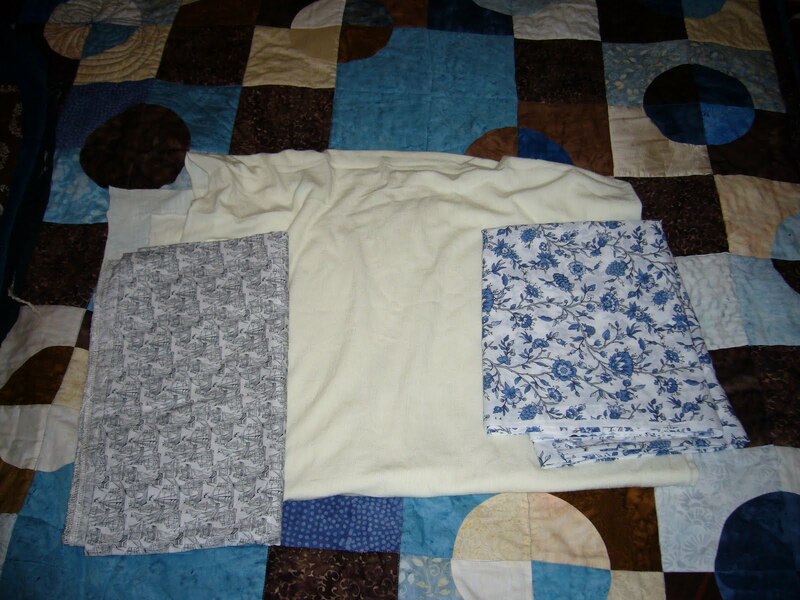 If desired, add a few other garments of similar weight and color. Make sure to zip up any zippers. 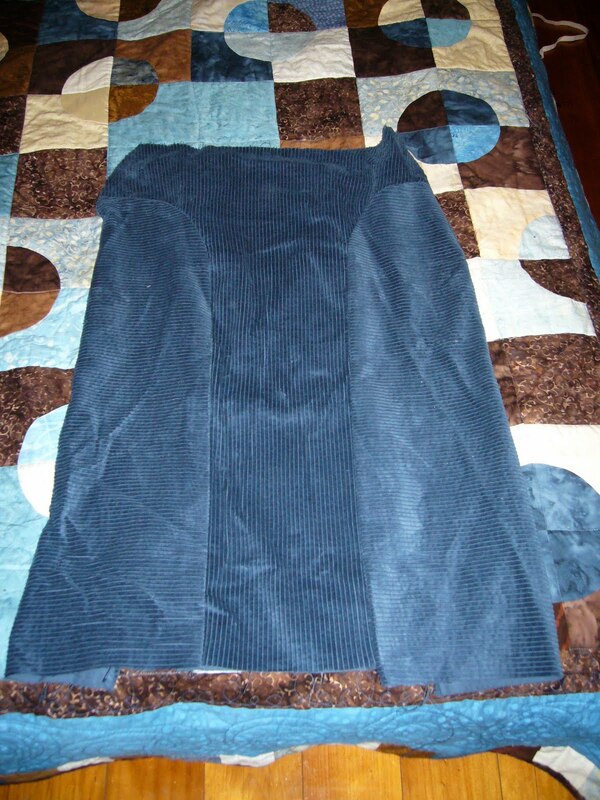 Wash on a cool setting with a small amount of mild detergent. I make my own. DO NOT USE POWDER. In a pinch, use a capful of shampoo. I like to add a little bit of vinegar to the rinse water. Try 1/4 cup. It freshens the silk and removes any soap residue. If desired, use fabric softener. I think of it the same way as using conditioner on my hair. Remove from the washing machine immediately. 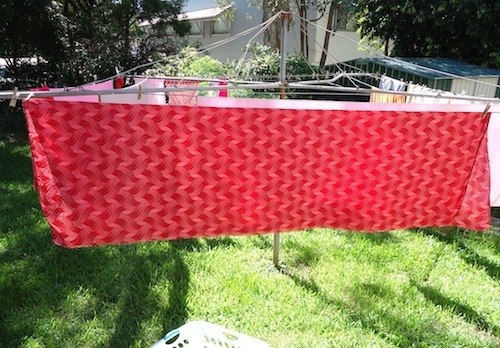 My recent silk twill purchase, destined to become a Downton Abbey blouse, drying on the line. 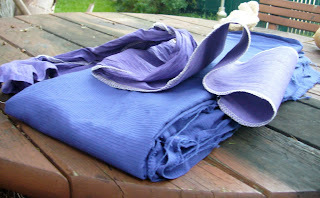 If possible, drape it over a wash line, aligning the selvedges and smoothing the fabric gently. 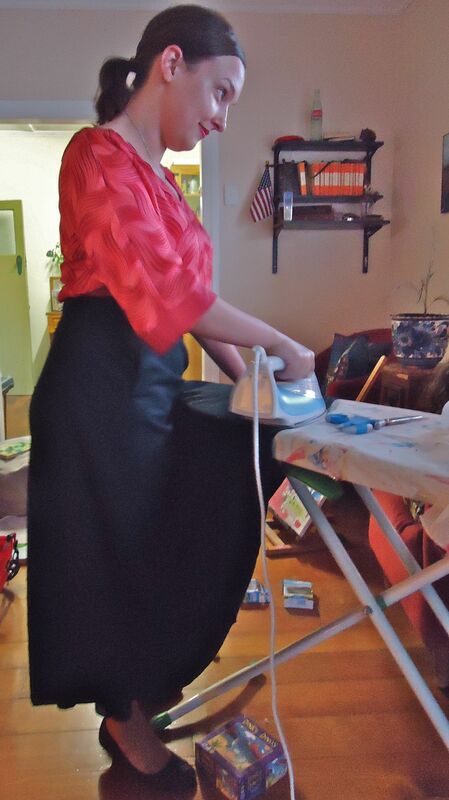 I do this for most fabrics, and since they dry smoothly I have to do minimal ironing during the prep stage. Or dry it flat. I can not recommend using the dryer as I do not do it myself. 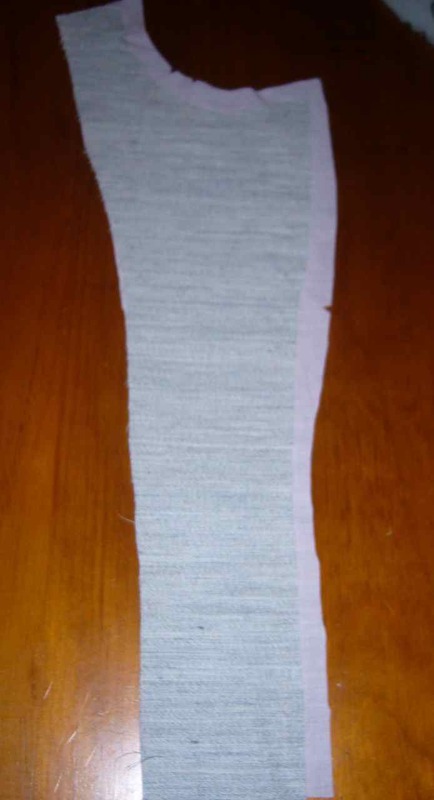 Remove from the line and fold neatly, ready for you to pick it up to sew. I wash every piece of silk that comes into my possession. If I can’t wash something, I won’t wear it. 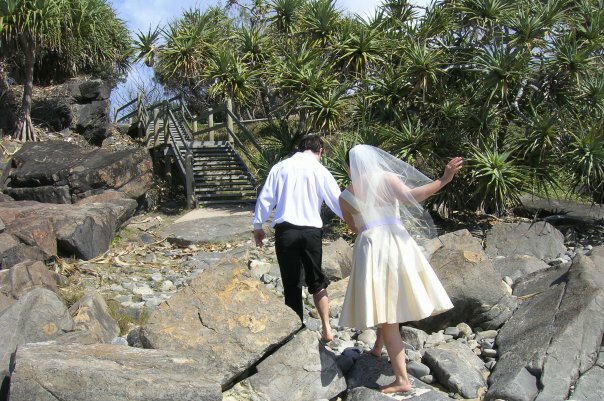 I even pre-washed my wedding dress silk so I could stuff that frock in the washing machine after the wedding to remove cake stains. It worked. Beware: When you wash silk, sometimes you change the texture. I find this is especially true with Dupioni and Shantung, which are quite crisp off the bolt. When washed, these fabrics become incredibly fluid and soft. (I find silk organza doesn’t lose its crisp.) If you want your silk to stay crisp, then make friends with your local dry-cleaner. Silk will usually shrink somewhat in the wash. 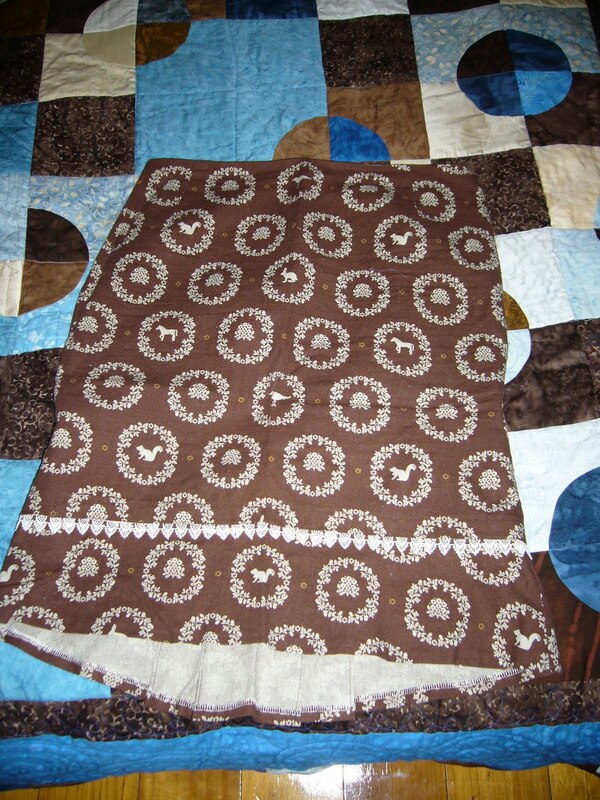 When in doubt, cut a 4″ or 10cm square piece of fabric, zig-zag or serge the edges, and put it through a wash cycle. This will give you an idea of how much it will shrink, and whether the texture changes with washing. 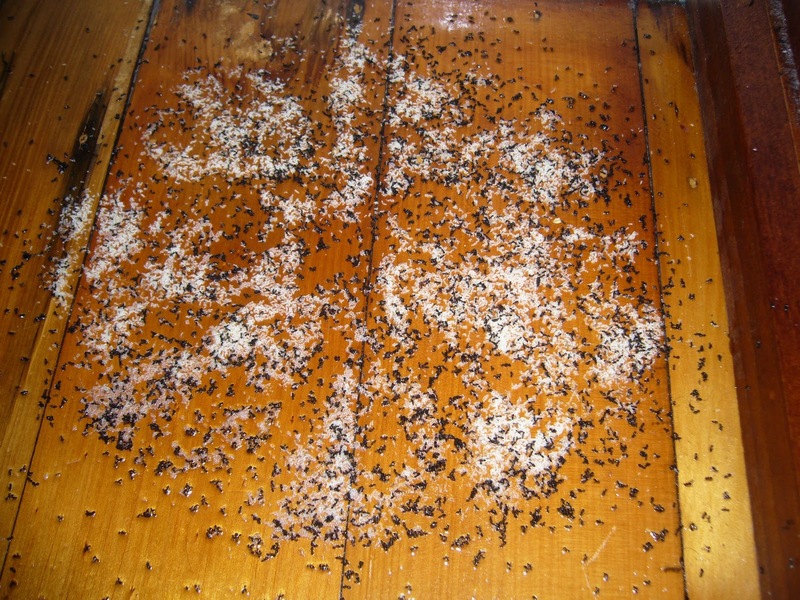 Once it is made into a garment, be careful about sweat. Very, very careful. Nothing ruins silk quite like sweat. That doesn’t stop me from making soft little summer shells from silk and wearing them on Mommy days, but I *always* at least rinse the silk immediately when I take it off. Otherwise the fabric will simply disappear. 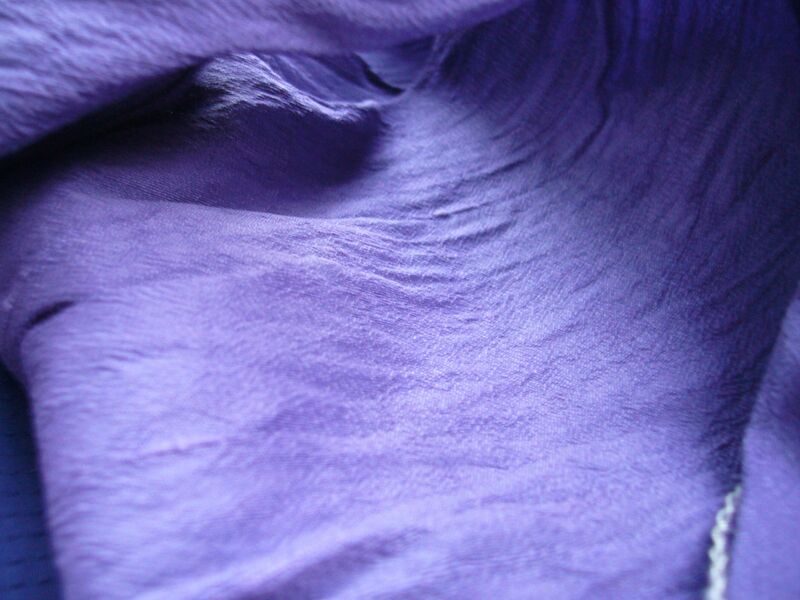 I have washed many kinds of silk this way: dupioni, shantung, satin (though sometimes it goes dull), Silk-cotton chiffon, silk-cotton radiance, ahimsa silk, tussah, raw silk, silk twill, habatoi, organza and hemp-silk crepe back satin. 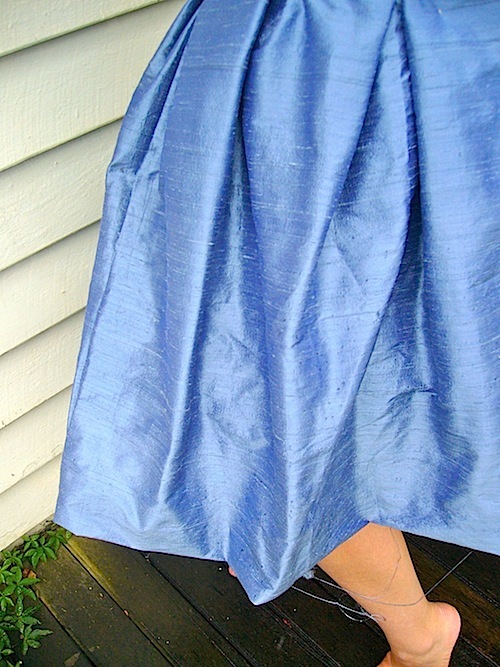 If in doubt, test wash.
Name: Asymmetrical pleated skirt from distressed silk. Needs: Technically a finished garment, but the lack of waistband makes me uncomfortable. I need to make a shaped waistband and attach it. 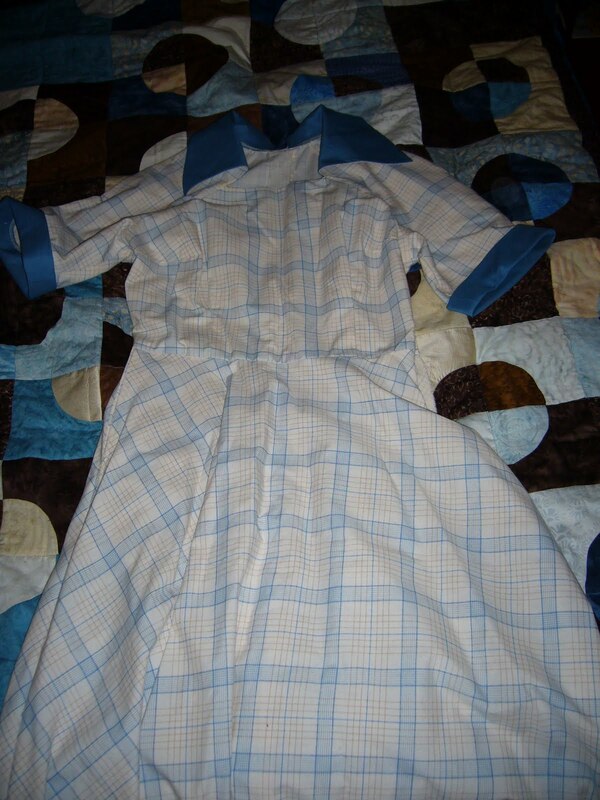 Name: early 1950’s dress with contrast collar and cuffs, made from a $1 sheet. Name: Smooth Sailing pants with lining, welt pockets and exceptional belt loops in wool-cashmere. 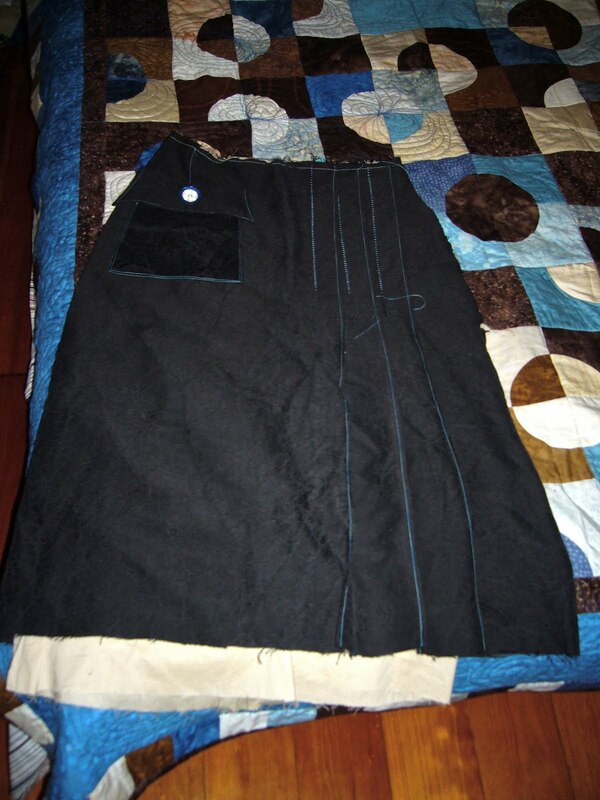 Needs: Attach waistband, belt loops, hook and bar, hem. It’s not a long-standing unfinished project, but I thought I should mention it. These are the garments which weigh on my conscience lately. I can’t tell you exactly why I haven’t finished them, I just haven’t. Most of these are work-appropriate clothes and I’ve only been working a day or two every week for some time. I can’t be bothered to sew something I might wear once a month, though I do like to cut them out. Now I have a full-time job! I’ll be working in the administrative office of the shop I already work for- answering phones, managing social media, e-mails, etc. I haven’t had a steady job in a long time, so I’m excited. I start on Monday; this weekend I plan to finish up at least most of these projects and make sure the rest of my wardrobe is in top condition. I need new work blouses. These three fabrics sat on my work table for months. I know what they should be- Burda 01-2011-107 in the scrimshaw Liberty print; Jalie 2794 with lace inset in cream merino slub knit; and one of my late 40’s blouse patterns for the delft blue print. How should I best avoid fussiness with the blue? Simple lines? Complete severity of cut? 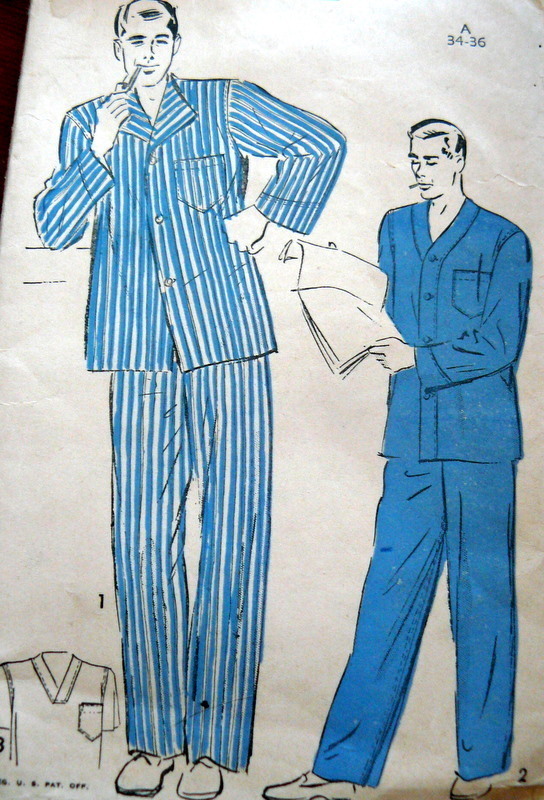 What about a mannish tailored shirt with deep pintucks? Can you see something cool and not frou-frou made from the blue, or should I relegate it to craft fabric? Sometimes in sewing I notice funny little twerks of the cloth and wonder why. 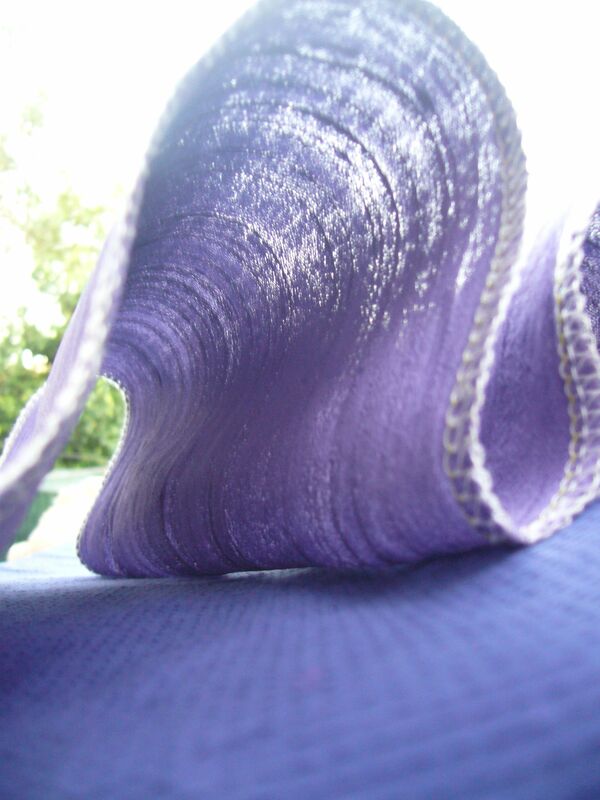 For example- why exactly does stiff, light dupion silk become lovely swirly silk when washed? 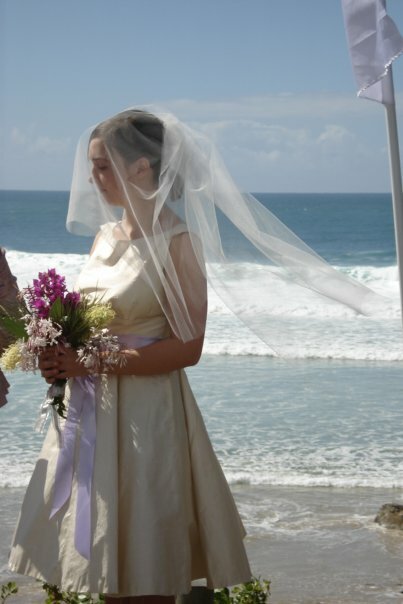 I made my wedding dress of such washed silk and wondered at the time if I could crisp it back later if I wanted. Since then I occasionally play with scraps of similar silk to watch how it behaves. I dyed cotton pique (bottom) and a scrap of dupion silk with Lilac iDye. I made a Parfait from linen dyed with the same color, and smile every time I see the dress. This time, I washed both together on gentle. Then I added the packet of iDye, a cup of salt, and 2/3 c of sodium carbonate. They sell it at pool supply shops as a pH booster. Silk needs a high pH to accept the dye readily. Once I used only salt and the silk was very palely tinted. When Lauren at Wearing History asked for pattern testers a while ago, I jumped up and down shouting “ME ME ME” so she sent me a pattern if I’d just sit still and sew it. This and the jacket will be my main projects for the next month. Back to the silk revelation- I washed both fabrics afterward with a little regular soap and a tiny dash of hair conditioner. Silk is a protein fiber like hair, right? 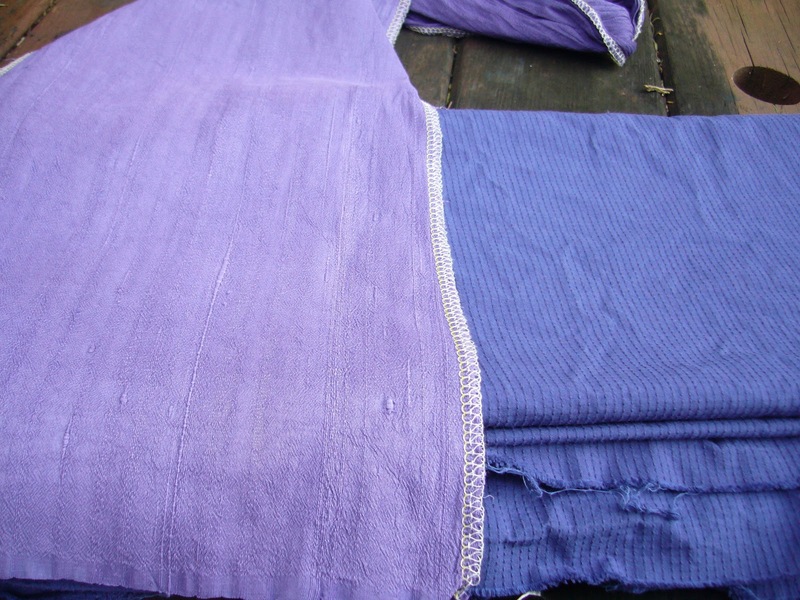 I took the wet silk from the washing machine and hard pressed it on a high iron to dry the fabric, with a towel protecting the silk. I must not have pressed it just that way before, because this time the crisp came back to washed silk. It took forever to steam it dry that way. I used copious amounts of sodium carbonate this time. The color on both fabrics is deeper and richer than I’ve achieved thus far on any of my dyeing experiments. In the late afternoon light they glowed. Sometimes the color turns out muddy or fades quickly. I’ll test for color-fastness by washing a scrap with my darks for a while. I’m not worried about how fast it is (Moderne is a work dress). Just curious. Now I’m off to finish adjusting the pattern using my sloper/block. 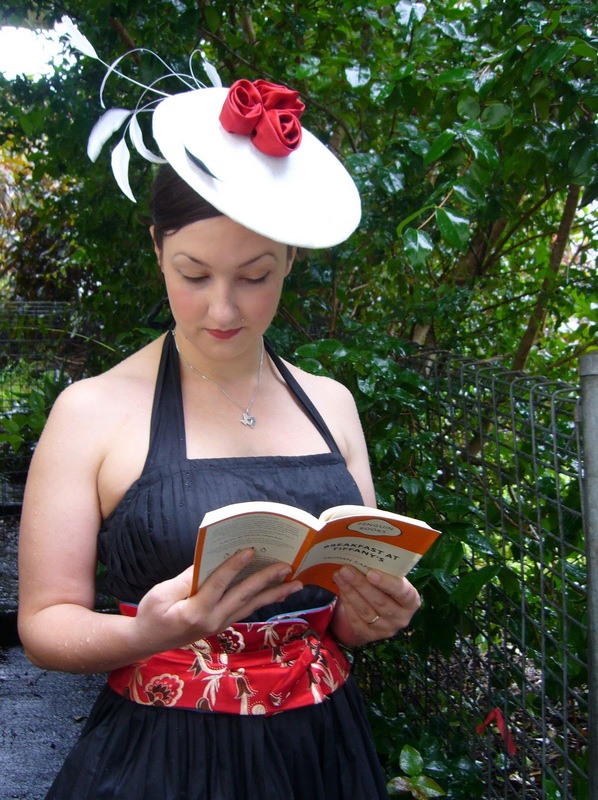 Between Christmas and my recent work-flurry, I never posted about the Dior roses on my hat. Apparently, Dior loved little embellishments like these, and this is how he made his roses. In the past, I put fabric flowers in the “too hard” file and left it, but they’re as easy as they are satisfying. These days my silk scraps go into a little box for flower making. Linens and cottons may make nice flowers given the right cut, but my knit fabric roses looked like wadded up socks. Mostly I stick to silk for its texture and luster. 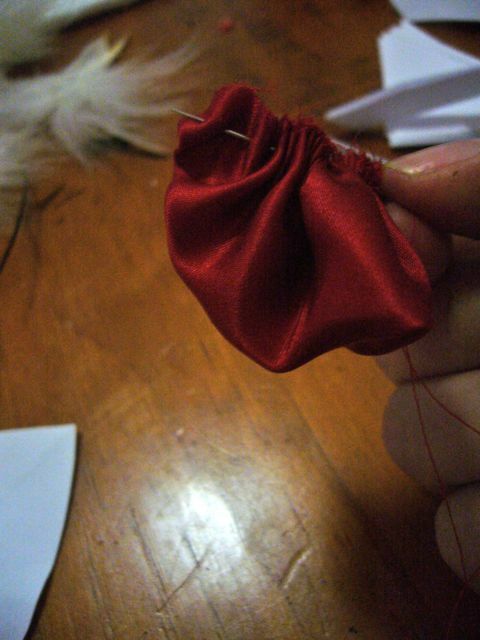 Starting with the smallest piece, fold it in half end-to-end and make a running stitch along the raw edge. 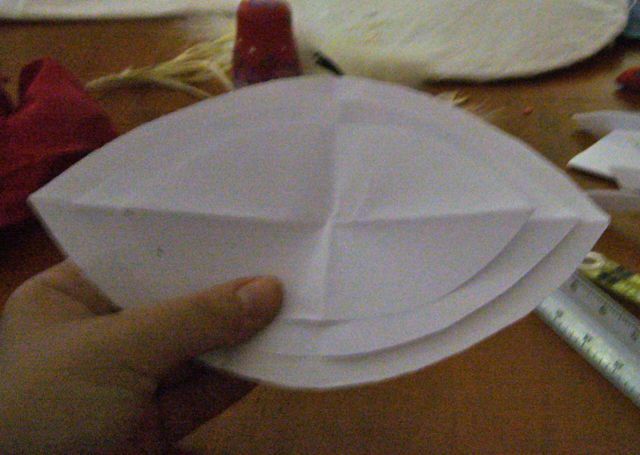 The folded edge will be the outer edge of the petal. Pull it up tight-but-not-too-tight, and curl it around to make a little bud. I found it worked best to ram my thumb into the middle of the bud to help it maintain a good shape. Then repeat the folding, stitching, and curling with the second petal. It should wrap around the bud, and don’t draw the stitches up too tight. When I wrapped the second petal, I lined up the middle of the petal with the overlapping bit on the bud for the sake of symmetry and it worked. Repeat with the third petal. I nestled three of them together and stitched them to my hat. It was a round sampan frame. 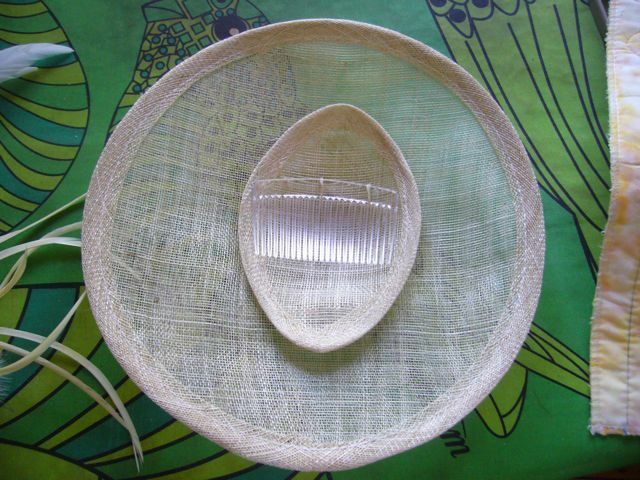 I cut a circle of slubbed silk equal to slightly less than the diameter of the frame times two, finished the raw edge, and gathered it on the underside. A comb secures it in my hair. With hats and fabric flowers, there’s not really a “right” or “wrong” way to sew it, just finding a way to make it stay together while looking halfway decent. I think that’s why I like making silly things and costumes, they’re so free. 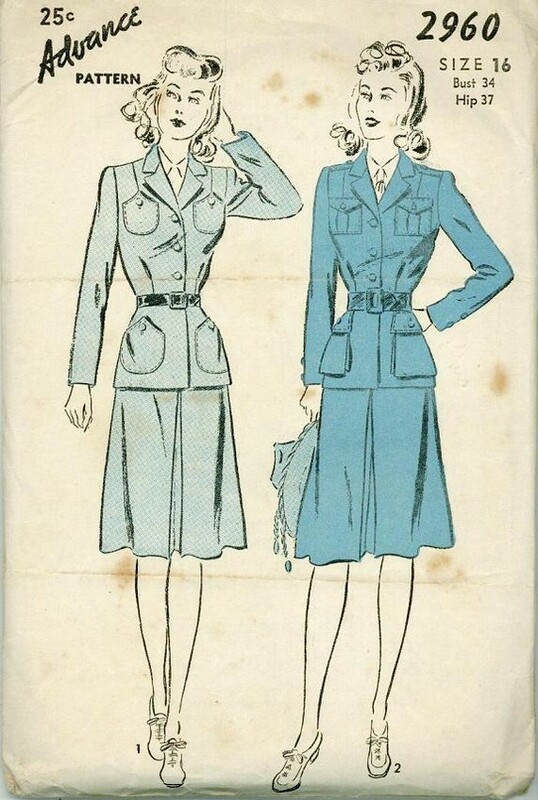 I’m a little tempted to make one or three gigantic ones to wear on their own in lieu of a pillbox hat, just stitched to an invisible little base. Why not? Tricky texture to photograph, the crepe side of the hemp-silk satin. It reminds me of parchment. Occasionally my pattern choices cause me to question my sanity. 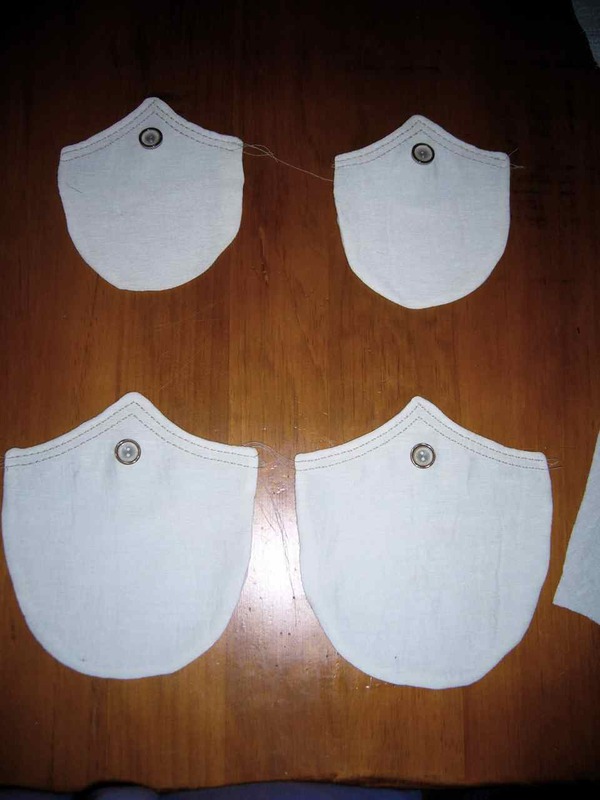 A pair of patch pockets proves difficult to match precisely; four – ! The curves could bear extra twiddling and pressing. I used a double row of saddle stitching with a fine, sharp needle. The denim needle I thought to use left needle marks. As a utility garment, I want the details to remain as crisp as possible through wear and humidity. I know better than to hard-tailor a hemp jacket (unwearable results in the past), but I think a little light tailoring will increase the lifespan of my new sun jacket. 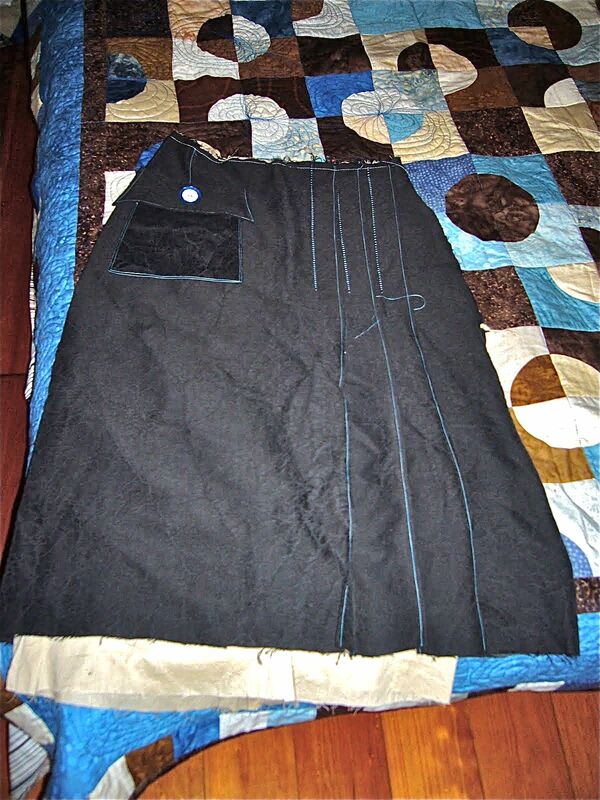 I cut a scrap of haircloth for the top of the pocket and fused it to the voile facing. An unturned, favored edge will buckle when laid flat. Pinking facilitates a smooth curve when turned and pressed- quicker than notching. I feel snarky about the top left corner, but I know when I stitch and bartack it to the jacket I won’t notice it. A third (or fourth?) line of top-stitching might be in order. To interface the undercollar, I trimmed the seam allowances from the haircloth and fused. For the facing, I used Kenneth King’s time-consuming method. Which side of the facing do I want to show in the revers? 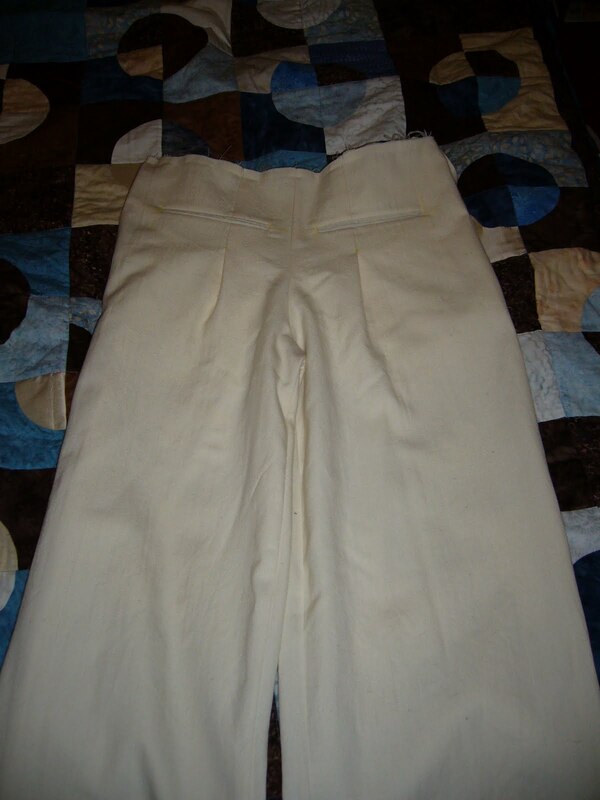 My first thought was to have the satin side facing out, so it slides over my clothes- would that look odd? Patterns, patterns everywhere. I made an etsy favorites list and left it where my husband might peruse it at his leisure. Should the jacket stars align and I find myself besotted, I could make both of these jackets. 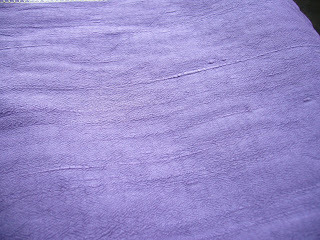 I’ll start with the less militarized one, in eggplant and cream 50-50 silk/wool herringbone stripe. Dresses must be simple, wearable, and serviceable this year. I’m sick of gorgeous creations I wear once or never. While cruising for pique, I found this cotton pique knit to pair with the dress pattern above. Apparently, “pique” serves as an all purpose term for polo shirt material, as well as textured cottons and silks. 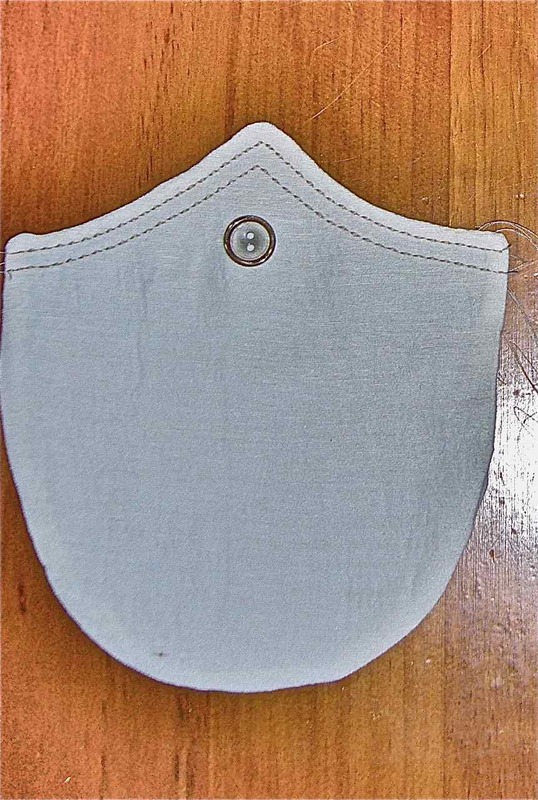 I found a pale green silk “mini-pique” for my DuBarry dress. The color may be anything from slightly green to celery, and I’m not sure about the weave, but as I confidently wear green and enjoy silk, I’ll leave the fabric in the hands of the sewing gods and trust the postman. 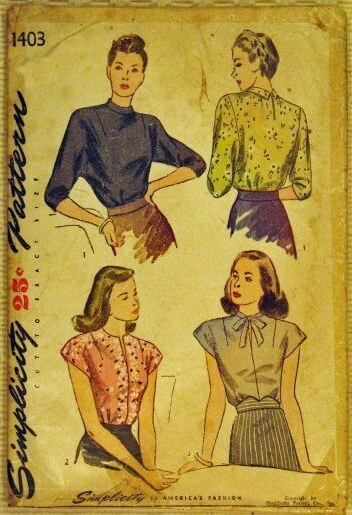 I admit to a weakness for little blouses from the late 40’s-mid 50’s. They’re easy to wear, simple to sew and don’t scream “vintage;” perfect for blending modern and vintage pieces. 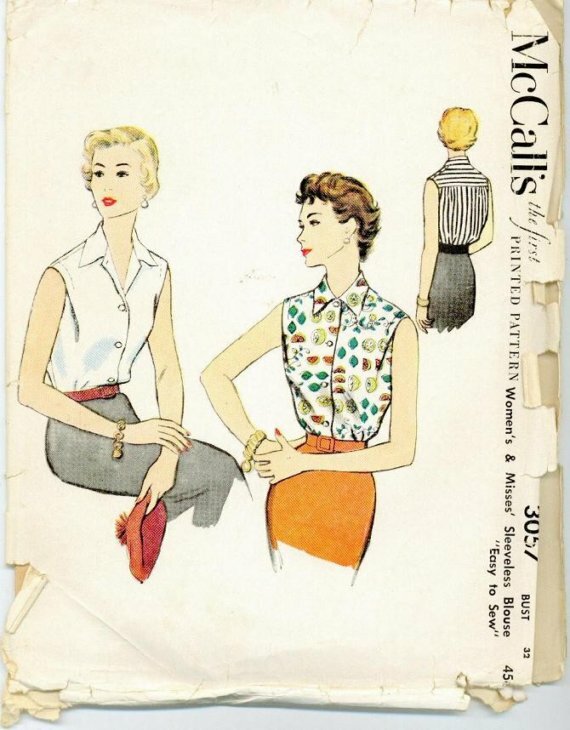 I could perhaps make these blouses from bits of other blouse patterns I own, but it’s really not worth the time. Besides, these simple tops often hold surprises in the drafting or construction. 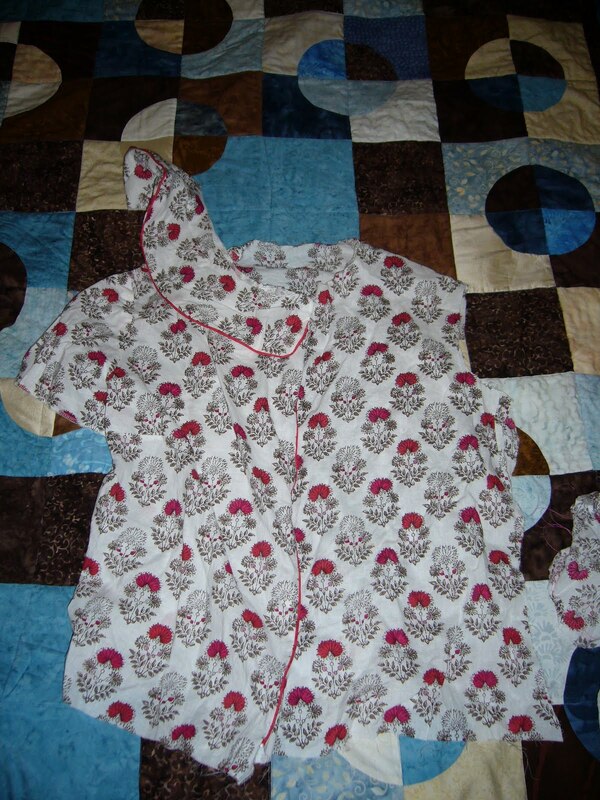 What a darling little nightshirt. I’m ever on the lookout for interesting lounge wear. 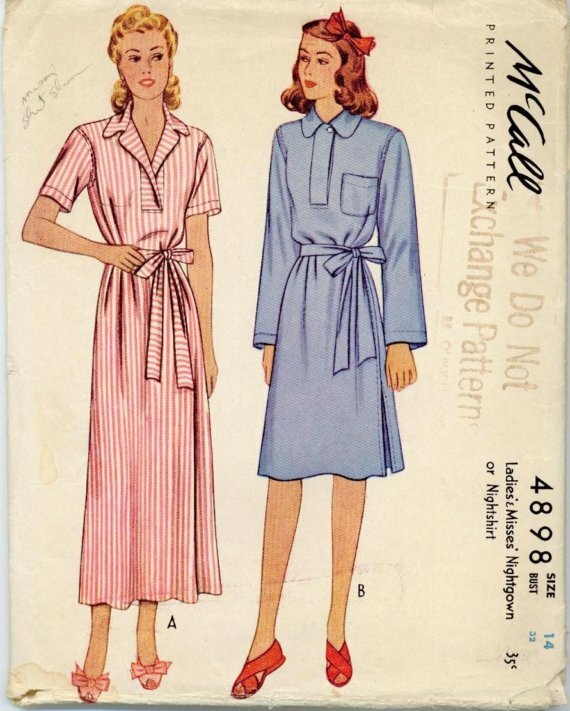 After a disastrous attempt at men’s pajamas two years ago (don’t ask me how I screwed up pajamas… a secret shame), I promised him I’d make some decent ones eventually. The more I eyeball the this tent, the more I think it will suit very well with its ample pockets and neck darts. Double collar? Yes, please. Look twice. 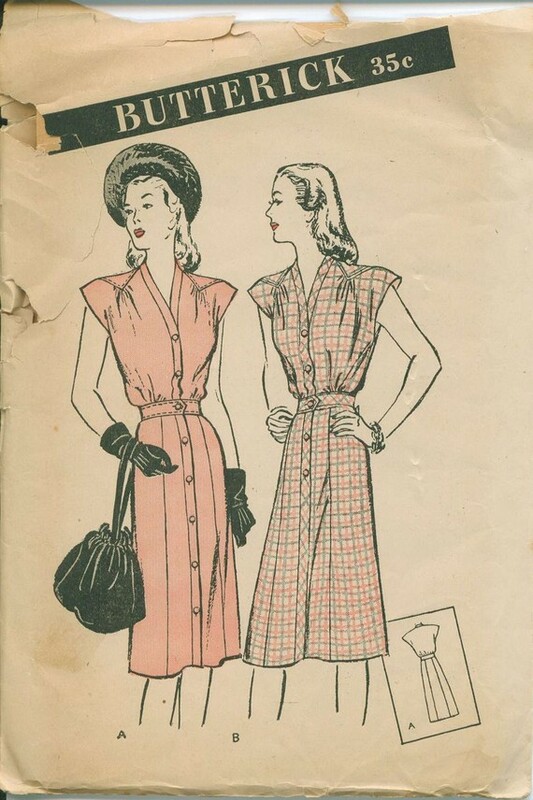 Collar interest + welt pockets + shoulder darts = lovely enough to wear any time. Echoes of Betty Draper, with so many views I know it could be a tnt tent. Do not get excited or wish me well- I’m neither “up the duff,” nor “eating for two” with “a bun in the oven.” Not in the slightest. In fact, I’m cheerfully sipping my third scotch of the night. Rather, some chic friends of mine are expecting/ expecting to expect and I do adore giving handmade gifts. Question: Who exactly has a 30″ bust whilst pregnant? Honestly, some of these patterns seemed made for a 14 year old mother to be. I know expecting 14 year olds should be accommodated, but really… Often I think the least common sizes from the time must have survived intact. At any rate, a stylish tent should prove easy to alter for size. Fingers crossed. 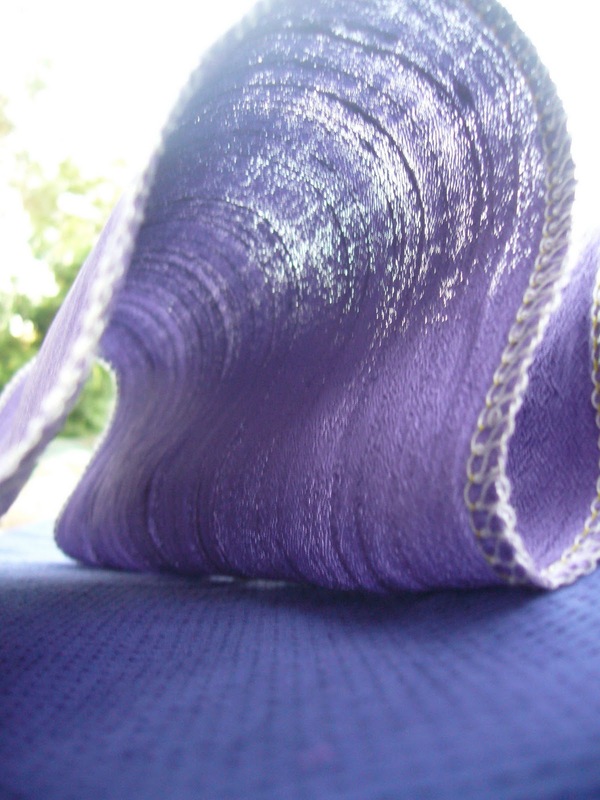 I couldn’t resist a little purple silk boucle for a pencil skirt. Black rules my basics, I keep branching out into other colors yet still anchored to the black. I plan to dabble in this shade, I feel strong and beautiful in purple. Since I barely stash and don’t buy many patterns, these represent the vast bulk of my projects for the coming months. The fabrics aren’t terribly dear, but the shipping kills me so I limit my online fabric shopping. 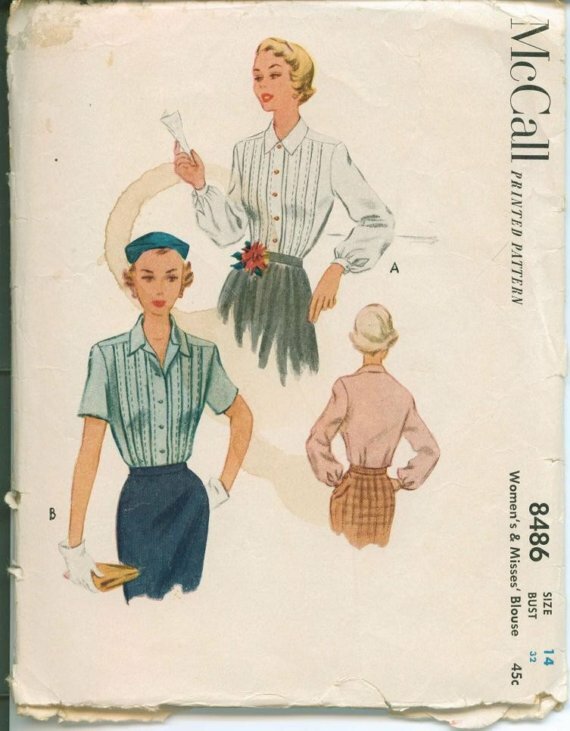 I do have plenty of blouse cottons on hand, and several trouser patterns. I’m getting excited about this year’s sewing! If there is any pleasanter way to spend an evening than trimming a hat, I don’t want to know about it. I’m hooked on hats. We took precious few pictures of my outfit the other day. I didn’t want to run around like an egomaniac gone mad trying to get blog photos. Besides, it was a horrible hot day and I dared not wear much makeup. 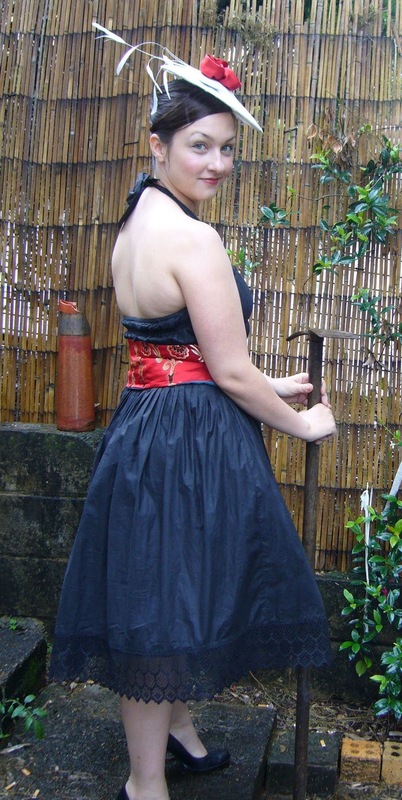 I re-dressed-up this morning and took photos in the rain, much preferable to sunshine in my book. Hair from Strawberry Koi, it takes me about 15 minutes to put up. Many, many strangers complimented my hat. Does any decade do glam quite like the 50’s? 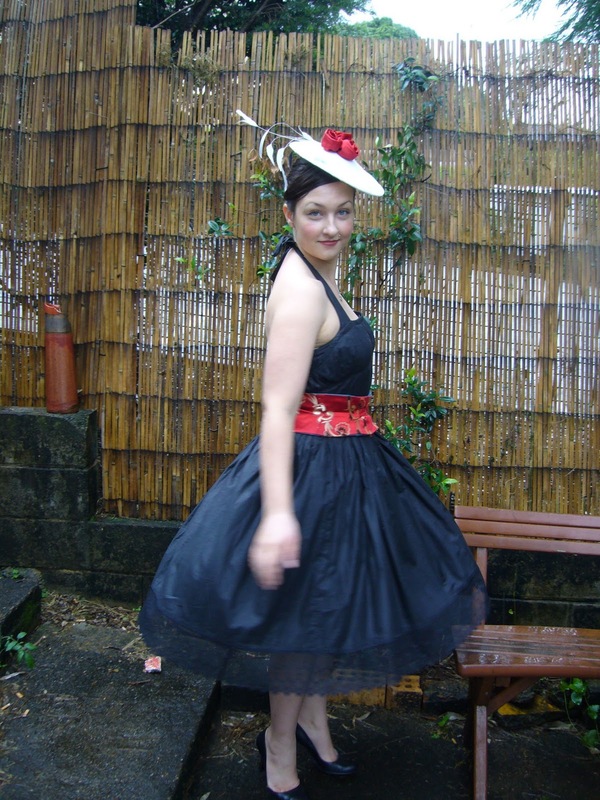 I prefer the late 30’s-mid 40’s for day wear, but what girl can pass up a full skirt, feathers and red roses? Not this one. I’m proud of him. Over dinner we became rather light hearted and capered on the sidewalk to the amusement of passers-by. 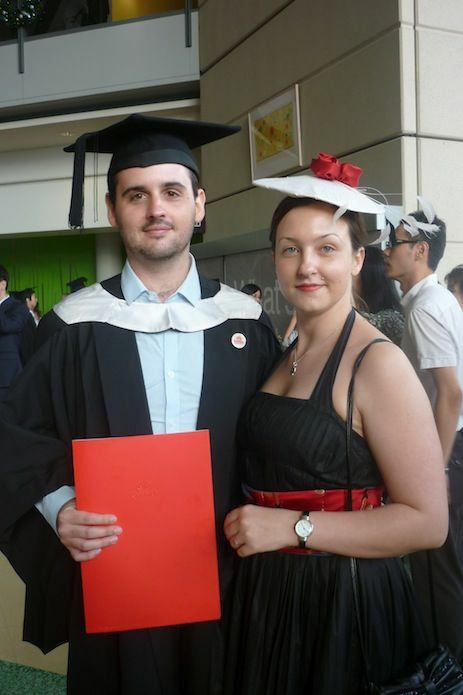 So much work to get this far with a child, immigration and trying to become a family, but it happened! Now bring on the post-grad. 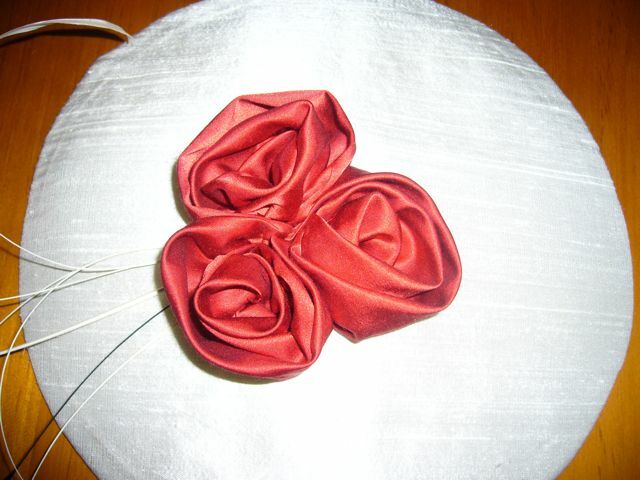 I’m more than happy to do a roses/hat tutorial if anyone’s interested.